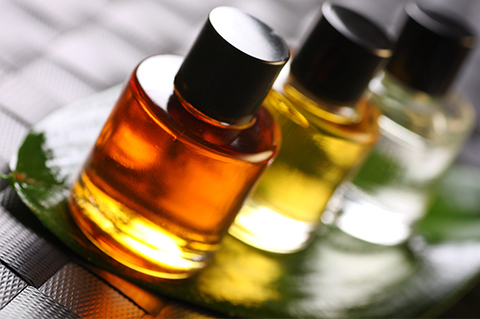 The treatment starts with a consultation in order to blend the correct oils which will help to ease any physical and physiological conditions which you may be experiencing. 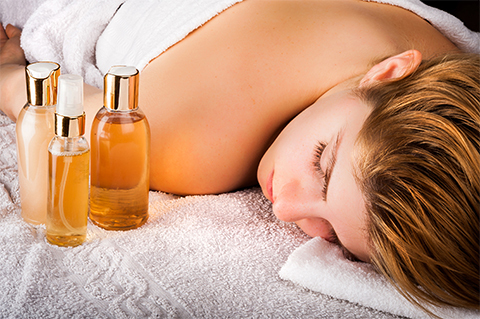 Potential benefits of aromatherapy massage include; relief of tension and stress, aiding deep relaxation, improving the lymphatic system, increasing energy levels, and uplifting the mood and spirit. 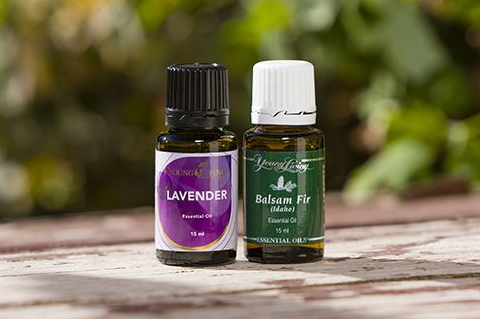 The full-body aromatherapy massage routine begins with a back massage, easing out any tension that you may have, followed by the back of the legs, after which you will be asked to turn over for a massage to the front of your legs and your feet, abdomen, arms and hands, upper chest, shoulders, neck and head. Any overly sensitive areas will, of course, be taken into consideration. You will be covered with towels during the massage to ensure warmth and discretion, with only the part being worked on being uncovered. The client is asked to disrobe, in private, prior to the massage down to the underwear so that the oils can be applied directly to the body. Soft, relaxing music is played in the treatment room and with an oil diffuser running in order to enhance the experience. The treatment starts with a consultation in order to blend the correct oils which will help to address the physical and physiological conditions that you may be experiencing. The massage begins with the back and shoulders to release any tension there, you will then turn over and be given a neck massage, followed by a gentle facial massage and an uplifting scalp massage. This is a seated massage which uses techniques to help relieve muscular tension and increase joint mobility and flexibility in the neck and shoulder area. The treatment also helps to improve blood circulation and lymphatic flow. 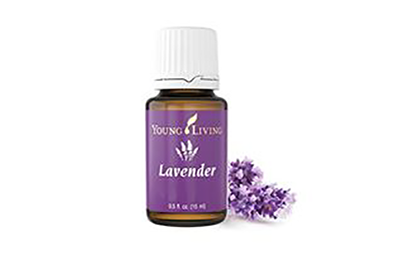 It is particularly good for reducing the effects of stress, headaches, and migraines and leaves you feeling relaxed with an improved sense of wellbeing. Thai Hand and Foot Massage involves hands on stretching and two handed palm movements, stretches, circular massage and thumb pressure to stimulate the reflex points. Thai hand and foot massage originated in Thailand and it is believed that is has been practised for around 2500 years. It is a firm, refreshing, revitalising and detoxing massage that provides many health benefits. The massage involves using a variety of massage pressures with the fingers and the whole hand, sometimes a thai massage stick is used. The hands and feet are massaged and stretched. Reflex points are stimulated and sen lines (similar to the meridian lines in Chinese medicine) are followed clearing energy blockages that can manifest as symptoms of disease. Although the techniques involved in Thai hand and foot massage involve direct manipulation of only the lower limbs, hands and feet the potential benefits are widespread. This treatment can restore joint movement and mobility; relieve tension and fibrous adhesions in the lowers limbs, hands and feet. The massage techniques can also substantially reduce pain and restriction in these areas. A relaxing non-invasive treatment which can help with the treatment of sinusitis, rhinitis, earwax, earache and irritation of the ears, including tinnitus. This treatment is also suitable for the treatment of headaches, migraines, hay fever and disturbed sleeping patterns. Included in this treatment is a mini facial massage, to help drain the sinuses and completely relax you into a deeper sense of calm and well being.